When Gail Zigman, town selectwoman and Joe Gunther's companion of many years, is raped, Gunther finds himself caught between the media, local politicians, and a network of well-meaning victims' rights advocates as he tries to put his own feelings aside and follow a trail of evidence. Every lead points to a single, obvious suspect, but is the evidence too perfect? 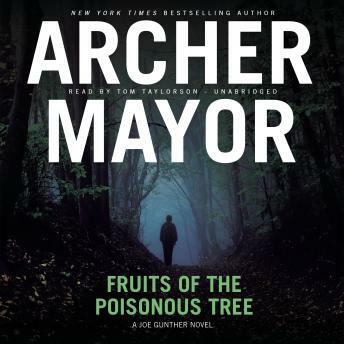 Risking his friendship with Gail, the respect of his peers, and his own life, Lieutenant Gunther keeps digging, hoping to find out if the man they have in jail is rightly there, or if the evidence against him is tainted-what police call "fruits of the poisonous tree."